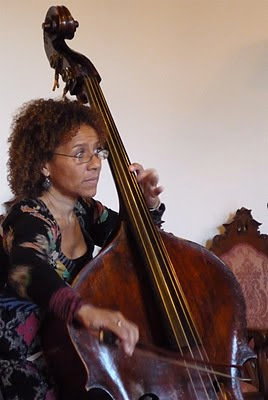 Following up I have some more news about double bass player Chi-chi Nwanoku. Filmmaker Barrie Gavin's wonderful documentary about her, Chi-chi: Tales from the Bass Line, which you have profiled before on AfriClassical, will makes its U.S. premiere at the Black Harvest Film Festival in Chicago next month. As the description of the film says "the effervescent and indomitable Chi-chi recounts the hurdles she faced growing up as a mixed-race child and scaling the musical establishment in Britain, interspersed with luscious performances of Haydn, Berlioz, Elgar, Dvorak, and others." And I can definitely attest to the fact, having seen it more than once now, that it is a wonderful captivating film that truly captures the spirit and personality of Chi-chi. The film will screen Sunday August 5 at 5:15 PM and Monday Aug 6 at 6:15 PM at the Gene Siskel Film Center in downtown Chicago.